I’ve always found cling-wrap (or glad wrap, or clingfilm, as you may call it) to be unbearable. Even before my plastic-free days, I couldn’t bring myself to use it. I found that it was either unbearably sticky, and would stick to everything except the one thing I actually wanted to wrap, or the opposite: it was so ridiculous non-sticky that it would stick to nothing at all, and definitely not the thing I wanted to wrap. 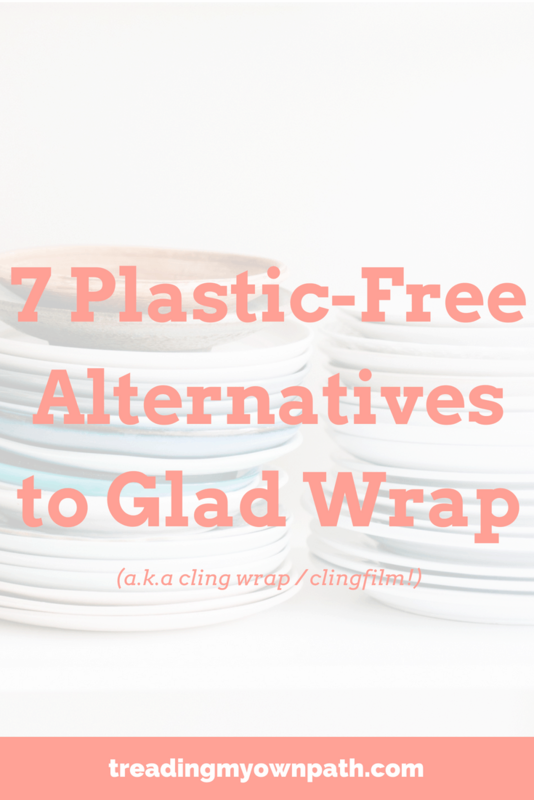 As with all single-use plastic items, there are plenty of alternatives. Here’s 7 of my favourites. I love this option. I love it because it’s simple, doesn’t require any more stuff and suits my laziness. Provided whatever-the-leftovers-are can fit in a bowl, then a plate can go over the top. Job done. I don’t believe that everything needs to be airtight in a fridge, and the plate-on-the-bowl method is good enough. We don’t have any problems with anything smelling in our fridge, but if that’s something you’re concerned about, popping a small jar of bicarb can help reduce fridge odours. Silicone lids are a fancy alternative to putting a plate on a bowl, but have the bonus of being able to form a seal. They are also heat-tolerant so can be used on hot pans. Silicone is technically not plastic, and seems to last much longer than plastic. It also seems to be more resistant to heating and high temperatures. On the downside, silicone isn’t recyclable. I’d only opt for silicone if I knew I’d use it regularly, and consider it a purchase for life. Rather than wrapping a baking dish with cling-wrap, I prefer to decant my leftovers into glass Pyrex storage containers. Any storage container would work, but Pyrex is what I have the most of. The great thing about Pyrex (and to some extent, stainless steel) is that it is oven-proof, so if you want to re-heat the leftovers the following day, simply remove the lid and pop in the oven. Putting the original container back in the oven tends to bake on the food, making it much harder to clean. Whilst I don’t recommend buying new plastic storage containers, if you’re new to plastic-free living or zero waste, you might already have a heap of old ones – in which case, use them. Over time you’ll be able to repurpose and donate and they will eventually break, and you can replace with better alternatives. Glass jars are the mainstay of the zero waste movement, and for good reason – they are useful for almost everything! Glass jars are great for most leftovers. We use them for chopped veggies, roasted veggies, pasta sauce, curry or dahl, rice, sauces… anything that doesn’t have a structure (so layered lasagne might not work great). The great thing about glass jars is there’s never a shortage, and they are easy to come buy for free. They also come in every imaginable size, and are particularly helpful for portioning food. Beeswax wraps, made by by neighbours at Vic Park Honey and sold by my friend Jo in her Urban Revolution store. 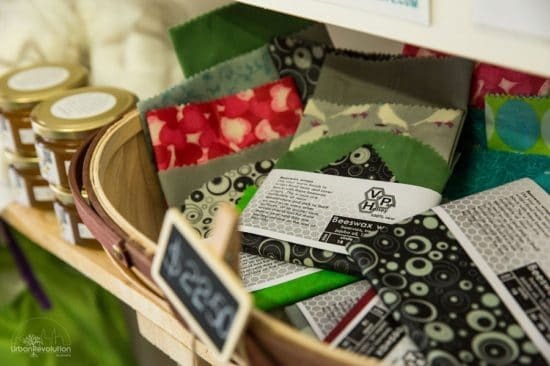 Beeswax food wraps are made from cloth that has been coated in beeswax, often with extra additives like jojoba oil and pine rosin (colophony) to make them supple. They can be used in place of cling wrap to cover bowls and wrap food. Vegan food wraps that use soy and candelilla wax (rather than beeswax) are also coming onto the market. With both types, they are only suitable for hand washing and not machine washing (the wax will melt at high temperatures). They are not suitable for meat or fish, or wrapping hot food. In time the wax may be lost but they are very easy to re-coat. In my experience, beeswax food wraps are expensive to buy and cheap to make. If you’re on a budget, I’d recommend making your own. By making your own you can choose the sizes that are most practical for your needs, too. However, if you’re not the crafty type or don’t have the time, supporting local independent businesses is just as good. Sandwich pockets are made of fabric that has been coated to make it waterproof. In contrast to beeswax and other wax wraps, these are machine washable. The coating is often some kind of plastic, but on the plus side, they are reusable and will not need to be recoated. The fabrics and coatings vary brand by brand. I would avoid PVC as this plastic contains phthalates, which are known to be detrimental to human health. Some use polyester and others use plant-based plastic which are stated to be biodegradable when they wear out. I’ve had 4myearth sandwich pockets (the ones in the image – which are cotton with a plant-derived plastic lining) since 2012 and they have lasted very well. These sandwich pockets will help retain moisture and prevent food drying out, but they do not seal and are not airtight, so are better for short term use. Not a zero waste option, but a plastic-free option nonetheless. Both can be used to wrap items individually, or they can be used together. Wrapping meat or fish in paper and then foil is recommended as a way to freeze these without getting freezer burn. 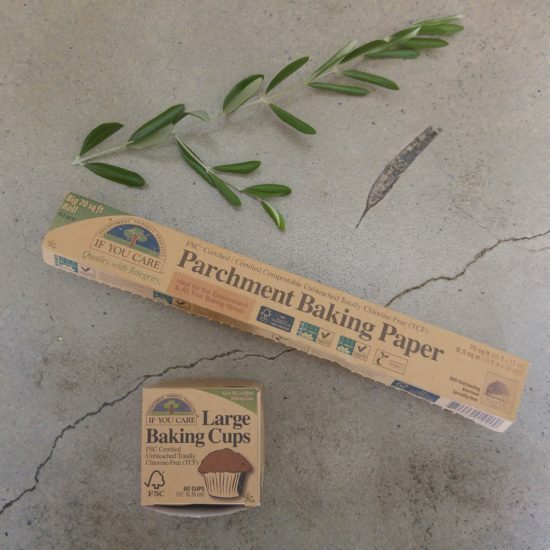 I use the If You Care brand of parchment paper – it is FSC-certified and unbleached. It has a silicone lining but is certified compostable, and I have successfully composted this paper at home. They also produce 100% recycled aluminium foil. Aluminium foil can be washed and reused before being recycled. If you’re careful, you will be able to wash and re-use foil a number of times before recycling it. Yes, it can be recycled – save it up until you have enough to form a ball about the size of an Easter egg and pop it in your regular recycling bin. Now I’d love to hear from you! Clingwrap: friend or foe?! Which of these solutions is your favourite? Any other solutions to suggest? Anything you’ve tried that didn’t work that you want to warn us about? Anything else to add? Tell all in the comments below! Disclaimer: This post contains some affiliate links which means if you click a link and choose to purchase a product, I may be compensated a small amount at no extra cost to you. The links are included to give you more information about some of the products that I own and use. As always, I’d always suggest making do and shopping second-hand before buying new. 90 Comments • Leave a comment! ← Plastic Free July: I’ve Made My Pledge, What’s Yours? 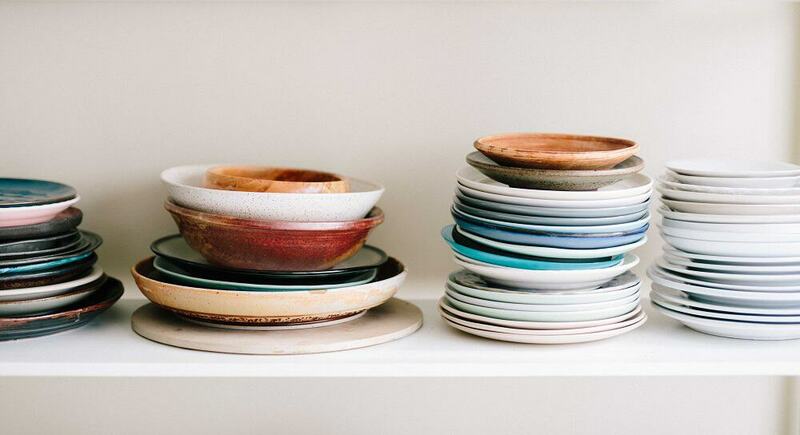 Big fan of the plate on a bowl – or a bowl on a plate if it’s a plated meal to be eaten later. I use the plastic boxes I’ve had for years, and thanks to you, glass jars. We’re still buying bread and breakfast cereal (long story – not ideal I know – mostly only eaten by the children, who want ‘normal food’) but I keep the bags and have started using them for wrapping the kids’ school sandwiches. No complaints yet! I’m on a mission to convince my husband that we don’t need to buy cling film! Bowl on a plate – great point, Mary! So versatile ;) Good luck with the mission. Maybe you can persuade him to give it up for Plastic Free July – and by the end of that, he will be in the habit! You can get bread zero waste if you chat with your baker and bring your own bag (a dedicated pillowcase for instance). The baker might not want to touch the bag but they should still be willing to hand the bread to you. You might have to find out what time they bake the bread so you can get there before they have packaged all the loaves. At a conventional grocery store you will also have to ask or get the product code off of the packaging of another loaf so it can be entered at the till. I’ve had a few plate-on-bowl-falls-out-of-fridge breakages, but am a devotee of the silicone lids: we have the sunflower variant (not illustrated) and it brings a smile to my face each time I use one. Wow – brand new ideas (for me) for points 1, 2 and 6. I’ll be on the lookout. Ow for sandwich pockets. Trying beeswax covers and will eventually convert them to sow wax ones. Thank you for the inspiration!! Glad I’ve given you some new ideas, Les :) That’s why I love the topic of waste so much – there are so many solutions when we begin to look. Good luck with the experiments. Grease proof paper is old fashioned, but why not use it for lunch wrap. I don’t think it has plastic coating. I know the Coles brand baking paper is coated with a kind of plastic. I think the greaseproof paper they sell is also. It might not have used to be coated with plastic, but I think it has changed with the times. I think most are :( But I’m sure there would be a paper only option out there somewhere – but it probably won’t be greaseproof! I know the If You Care one does and many other brands do. My neighbour used to have some weird textured baking paper on a roll (I went round there to borrow a couple of times mid-baking!) and hers wasn’t coated – it wasn’t super grease proof either! So maybe these options do still exist. I’m assuming you had the non-sticky kind, Liz. The sticky one would never have allowed such re-use! Yes, times have changed for the better – hurrah! One of the only areas I can’t find an alternative for plastic wrap is reheating rice. Rice balls, onigiri, and musubi steam perfectly in the microwave when wrapped in plastic wrap. Any thoughts? Hi Brandi! I don’t have a microwave, and plastic wrap is thought by many to leach chemicals when heated, so I would avoid it where possible. Back when I used to use microwaves, I would put a plate over the top of a bowl. If you want to steam something, I’d suggest putting a shallow layer of water in the bottom of the bowl – maybe 0.5 – 1cm. That should generate the steam. If you have a go, do let me know how you get on! I’ll see if I can get the bowl and plate method to work the next time I reheat rice. Thank you Lindsay! Since you’re a baker, I’d love to hear your thoughts about replacing plastic wrap in baking recipes. While I never use it to wrap leftovers, many recipes call for plastic wrap — to wrap up pie dough while it’s resting in the fridge, to cover yeast doughs while they rise, to cover yeast rolls while they proof, etc. I know that plastic wrap is quite new in the grand scheme of things and people have been baking without it for eons, so there must be solutions, but it seems like most tarts and yeast breads call for plastic. We have one roll of plastic that we use for baking and it lasts a long time (usually years) but I’d love to start experimenting with alternatives. Thanks for the suggestion about muslin, Susan! I think damp cheesecloth would work well, although definitely not with sourdough – that stuff is like glue! Hi Kara, yes I know those recipes! I’ve found for things like pastry and dough, actually wrapping in clingwrap is unnecessary. I place in a glass bowl and then place a damp tea towel over, and if it’s hot, a plate on top of that to stop the water evaporating. For dough resting in the fridge I put it in a bowl and cover with a silicon cover (I have a couple I inherited from my Mum). When rising bread dough I used to use a clean tea towel over my big mixing bowl, but now I use the thermoserver that came with my thermomix. It’s a great machine for making things from scratch – like dips, pesto, ricotta cheese, nut butters etc. I cover my rising yeast dough with a damp tea towel. A plate over the bowl also works. Antique, junk stores and eBay sometimes have glass storage containers with glass lids from the ’30s or ’40s that are great. Also for bread bakers there are glass bread pans with domed lids from that time period that raise bread loaves better than anything else I have found and can also work to freeze and/or store finished loaves. I have a glass Pyrex loaf dish I use for sourdough. Sourdough rusts metal ones – sometimes in a couple of uses. Mine isn’t old though – I bought it a couple of years ago, new. Glad these options are still available. I switched all my plastic storage containers to Pyrex but I’m having a problem now as all the kids are cracking – and I wash them by hand. I’m a bit fed up! Kat, I’ve had a similar problem. The ones I bought as individual containers (with the navy blue lids) have all been fine, but I bought some in a set with multi-coloured lids (orange, red, turquoise and royal blue) and two of these have split. I don’t really want to buy new Pyrex lids. What would be great was if someone made wooden lids with maybe a silicone seal that fitted into them. I’m intending to use the plate option or my silicone lids when they wear out. For now, I still use the two with the splits – I figure a small split doesn’t matter that much. But yes – why are things not made to last?! So I use plastic sandwich boxes, so easy to clean and can be used for years and years! We kill our own lamb, and beef and have a big freezer. Unfortunately I can’t see any alternative to cling wrap or freezer bags that won’t make an all mighty mess of frozen blood at the bottom of my freezer. Any suggestions? And please keep any become vegetarian comments away cos that’s not going to happen. That said, I have no experience in freezing large quantities of meat, so I cannot speak from experience. My mum uses plastic containers to freeze all her meat, but she doesn’t have your kinds of quantities. That said, even if you could reduce the plastic by freezing some in containers, that’s less plastic. What about lining the whole freezer with some kind of plastic – I’m assuming you have some kind of chest freezer, and I’m thinking builders plastic or that kind of thickness. That way you could lift it out periodically and hose off (which would be adding the nutrients to your garden/compost pile). You could then re-use the liner, probably many times. If you did use a liner, maybe you could wrap individual portions in cheesecloth and then paper to freeze? Obviously the cheesecloth would need to be composted afterwards. I’m trying to imagine what people did after freezing was inented but before plastic came along? I’m wondering if there are any homesteading pages / articles that could help? I’ve no idea if these ideas are helpful, but hopefully they start you thinking. Good luck with it. And of course, if you can’t think of a solution, don’t feel too disheartened – there are plenty of other areas in our lives to make changes and reduce plastic! I grew up on a cattle property – it is a challenge to store the meat in a deep freeze without individual packaging – every piece freezes together and there is no way to get it out without thawing the lot or chiseling it out. Maybe placing If You Care baking paper between each layer may be worth a try. My aunt has cryovak plastic bags/ vacuum seals and she washes them out a reuses for each beast. G’day Lindsay! How are you? long-time no see. Interesting solutions, normally we use the glass and in my opinion it is the best solution; sometime we use whatever recycled container we have at home. I have a question: where did you buy the cylindrical steel container I can see at point 3? I would like to buy one. In May I started to work FIFO and on site they have only the typical take-away plastic containers. Normally I use the same 3 or 4 for all my 14days shift, and then (possibly) bring them back to Perth where they go in the recycling bin as they cannot be reused anymore. Glass is too heavy to carry on and around site, without considering the fact that the glass is not well accepted for safety reasons. You should see also the shocking (not) recycling policy mining/oil&gas companies have in place in their sites. Hope to see you guys soon, have a good day. Hello Federico! I didn’t realise you were doing FIFO now – same company? The plastic situation you have there would drive me nuts! The metal container is a tiffin; we have two. This one I bought in the UK but I have another (better) one that I got from Dunn & Walton in Doubleview. It has 4 tiers, and each tier has a stainless lid separating the compartments, which means each can be used in the fridge individually, and they are useful as plates too. With tiffins the top layer has a proper lid and can be used as a standalone lunchbox. Indian supermarkets should also sell them. So practical! Yes, hope to see you soon too! hey Lindsay! yes, same company (Gina’s) and I started in May on a 14/10 days roster. More than the plastic situation what shocked me is the waste of food. With good food thrown in the bin in one nigth I can eat at least 1 week (breakfast, lunch and dinner) or maybe more. And most of the food can be easily repeated the following day or reused to make something else. I have checked Dunn&Walton website and most probably that is what I am looking for. Thanks for the suggestion. There is an update on food waste at our mine camp. Our contractor for cold crib and meals has implemented, together with a company based in the Pilbara, a program to refrigerate the not eaten food, re-pack and give it to disadvantaged people and remote communities in the Newman-Tom Price-Marble Bar area. This re-packed food will be prepared under the supervision of chefs and will be HACCP compliant. Refrigerated truck will be used for distribution. In other news – batch cooked three meals tonight. There are still some freezer meals here and at home, but I’ve made an effort to cook at home, and I knew you’d be part of my cheersquad. What would be your best suggestion for putting between meat items to separate them in a container in the freezer? Hi Natalie, I’d use baking paper. Or if the container is big enough, freeze them without touching. What I do with strawberries (which aren’t the same at all, but the principle should work) is freeze on a tray, and put in the container together once frozen. That way they don’t stick together. Hope that helps! Would like ideas….I go berry picking every year and pick a lot of berries. Have frozen in mason jars but it takes so much place in the freezer. Large ziplock bags I can lay flat and pile high. Any suggestions? Went to a DIY bees wax wrap workshop tonight. Presenter, info, and everything was excellent. My only issue was one of the participants decided to cut all the fabric into tiny pieces for everyone that would barely maybe cover the top of a smaller cereal bowl (quite useless for me). The only thing I needed was a way to cover a baking pan, everything else goes in jars or other reusable solutions. I did successfully wrestle away some fabric to cut an appropriate piece. However, I don’t think anyone should dictate or make decisions on other peoples journey. Everyone is different, every journey is different. There is no one size fits all solution. Love that generally the community is quite supportive and flexible. Hopefully the others will figure out we are stronger together. Hurray for PFJ. Hi Mel, that’s great that you were able to get along to a workshop :) And good news that you were eventually able to make the size you wanted. That’s why the DIY approach is so good – we get to make things exactly to our specifications. Yes, I think the plastic-free community is very flexible and supportive – it’s all about sharing ideas and encouraging each other on to do better! Mel, I agree you need some large pieces for bowls etc. I do find small sized ones useful for cucumber ends, courgette ends, cut capsicum etc. Or even for jars when I can’t find the right lids. Just joined today and realise I’ve got so much to do! My plastic wrap is nearly empty so a replacement was on my shopping list – not now. Going to be inventive with what’s in the house. I made the decision not to buy plastic wrap when it ran out a couple of weeks ago & haven’t missed it at all!! My boyfriend is on board as well (not that he has a choice as I do the shopping haha!!) I bought was wraps (funny to use when it’s so cold as they’re a bit stiff) and we use glass containers for leftovers. Have been better at using things up and only buying what we will use in a timely manner. Love using my produce bags at the markets & bakery. Also get a secret thrill buying junk food in my own containers – it can be done!! Just joined today & very interested in all the ideas to be plastic free, finished my cling wrap so will not be buying more, already do a lot of the things mentioned. also find freezing bulk meat, home baked bread difficult with out a plastic bag to keep it air tight, most containers are too bulky for the freezer. Was a child in the 40s/50s, Mum used a lot of waxed paper on a roll, not sure if it is still available. Recently read that tea bags contain plastic so use mainly loose tea & they certainly no longer go in the compost. Hi Jane, and welcome! Good to hear you’re ditching the clingwrap. There’s so many alternatives these days. Waxed paper is available but often it is coated in silicone. Still, better than plastic wrap, and reusable at least a couple of times. With bread, we wrap in a cloth bag. It’s fine for toast, and we don’t tend to freeze bread to use unless toasted. As well as using the beeswax wraps, plate over a bowl, baking paper, foil (occasionally) to wrap items in very successfully I also use (and re-use) shower caps to cover items – just wash them out between uses! You’re not the first person to suggest shower caps to me, Jennifer! And someone on my Facebook page said she made shower-cap style covers out of fabric. The options are endless! I reuse plastic bags that bread and cereal comes in. They’re clean and can be used to store food or I cut them to cover a bowl rather than buying plastic wrap. My family consists of a lot of young adults who all have irregular meal times. I use an upturned Pyrex pie plate to cover their meals when they are not home for dinner. They are clear so you can see whats underneath and they are very easy to stack on top of each other either keeping warm in the oven or when you store in the fridge. That’s such a good idea, Jenny! Nothing more disappointing than opening a stainless steel container or saucepan lid to find the contents are not the delicious thing you were expecting. Love it! I have bought Multix greaseproof paper (from IGA) and am using it for wrapping meat for storage in fridge and the ends of cucumber. Working well at the moment as i do store meat for too many days. I rang Multix and they told me the greaseproof paper is totally natural just thicker due to way of processing (ie no wax or plastic or silicone and not bleached). Their baking paper is bleached using chlorine and coated in silicone.I too, remember waxed paper but can’t find it. I think the greaseproof will work freezing meat if I wrap in alfoil as well. Have some beeswax wraps (great!) and silicone lids but find myself using a plate all the time!! Thanks for sharing Jo! I confess to often being a little confused between greaseproof paper and baking paper and parchment and all of those things. So thanks for clearing that up. PS yes, the plate is the best! I love my new BeeBeeWraps made in Cambridge here in the UK. 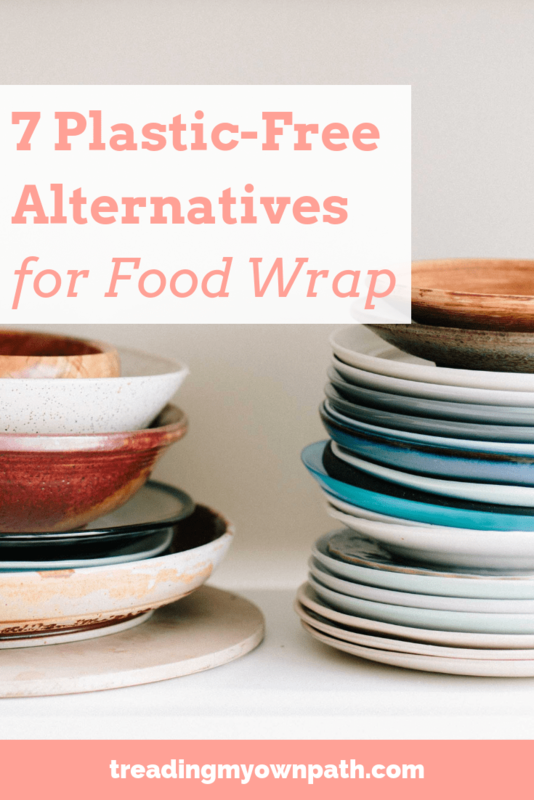 I was lucky enough to get a review set as a result of my Plastic Free July posts and am singing their praises everywhere! I use a silicone baking cups and also silicone baking sheets. I love them, you can wash them and reuse. Hi Donata and thank you. I have silicone cupcake cases, but not the baking sheets. I also have a silicone loaf tin that is surprisingly useful! Need suggestions for a moisture barrier to cover cake boxes when freezing bakery products in a small retail bakery. We often sell directly out of the freezer. 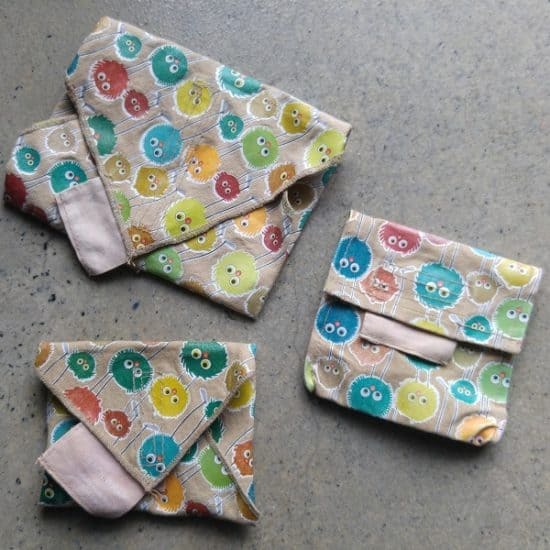 Beeswax wraps: “beeswax food wraps are expensive to buy and cheap to make.” You said it!!! I am super interested in alternatives to cling wrap, but I find myself super interested in the Vegan alternatives. I don’t know about anyone else but I am feeling cringe-y about how precarious the bee population situation is these days and I am concerned who is handling them to obtain this wax. All these Beeswax food wraps are starting to feel like “shark cartilage” or other endangered animals rumored to have health cures or virility cures with no regard for their lives. I would like to know more about the Vegan alternatives or see people making vegan DIY’s, since it has already been a concern of mine with Monsanto doing such damage to the Bee population and the Monarch Butterfly population! Thank you for this lovely post! Hi I am trying hard to come up with cling film alternatives for School bake sale. It is held during a festival so lots of people come from far away so bring your own container may not work well. Any ideas much appreciated! Hi Louise, could people bring their own containers, and the stall has plates / bowls etc to display the food so that containers can be returned immediately? What do you suggest for covering bowls etc in the microwave? Hi Philippa, I’d just use an upturned plate! Easy! That said, thanks for the article. And therein lies the problem, Tom! ;) It is frustrating and fortunately, there are plenty of great alternatives! These are all great solutions for home use, but how do they fair in commercial kitchens? My client (a number of safari lodges) are trying to reduce clingfilm with reusable containers where they can but its very hard to break away from the quick, health& safety and convenience aspects of clingfilm in fast-paced, very hot kitchens. I just cannot see the beeswax wraps being operationally durable in these conditions unfortunately. Anyone with solutions for commerical kitchens out there? Hi Andrea, and yes! There a few options, and places like Silo in Brighton (UK) and New Normal in Perth (Western Australia ) are two examples I know of that don’t use single-use plastic. I don’t know all the details, you’d be better off contacting them directly, but I do know that New Normal use Flexsil lids for their gastropans (reusable silicone). Hope that helps! Love all this….wondering if you can suggest though, cheap alternatives to wrapping home made food gifts. The idea is to keep costs down. While I’d love to buy them wax wraps it’ll make it all unaffordable! Any suggestions gratefully received. Hi Streuth, great question. Glass jars are a great one – you can stack cookies or baking items in tall glass jars and add some nice fabric over the lid. Depending what it is you could wrap in fabric offcuts. You could look for old tins from charity shops or online: I was once given some homemade pecan cookies in an adorable vintage tin. Hope that helps! Doing my best to buy less plastic. Refill shops are my current new best friends. The one in Truro even has a box outside to collect empty crisp packets (proceeds from which goes to Surfers Againt Sewerage). The reason for writing to you is to be your cheerleader for a change and say what a great job you are doing. Remember! Every single piece of plastic you don’t buy is one less to end up inside a fish.